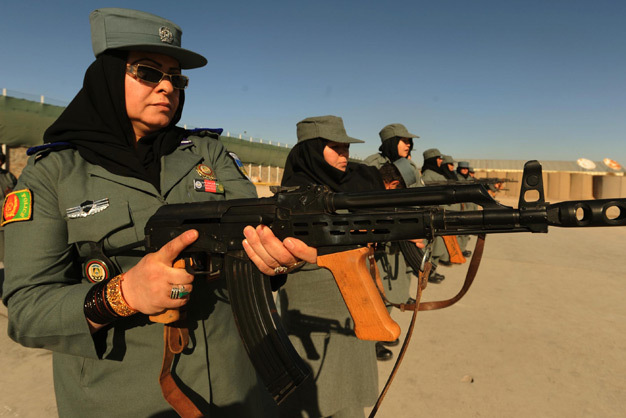 Afghan policewomen take part in military training at a center in Herat province, west of Kabul, Afghanistan, on December 8, 2011. NATO-led forces have planned to hand over security responsibility of the country to the Afghan police and army gradually, part of a security transition process which will run to 2014 when Afghanistan will take over full leadership of its own security duties. Photo by Sardar/Xinhua/ZUMA Press.